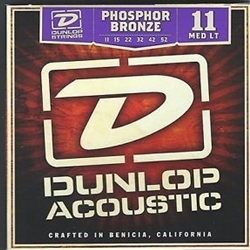 Dunlop Phosphor Bronze acoustic guitar strings begin with the finest materials. Custom wound onto a high carbon steel hex core, they offer players a warm full-bodied tone with incredible clarity and dynamics. Dunlop's formula creates strings that are exceptionally long-lived; they break in fast and stay bright so you can spend more time playing and less time changing your strings. Whether your finger picking or strumming your bass notes will remain focused, chords will ring out and harmonics will pop and sing. The next time you open up a pack of Dunlop guitar or bass strings, you will notice they've done away with the plastic bag and desiccant pack in favor of new VCI (Vapor Corrosion Inhibitor) paper envelopes. 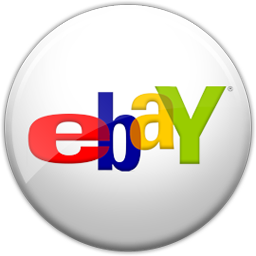 These envelopes have VCI technology built into the paper itself, creating a barrier of protection around the string and keeping out moisture and rust. VCI is invisible and leaves no trace on the string. Dunlop Strings come out of the package as fresh as the day they were made.